Social network's new UK head office will be its largest engineering hub outside of the US. 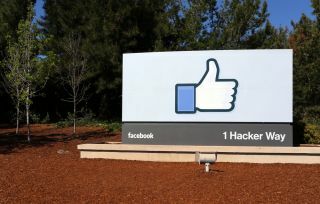 Facebook is opening a new office in London that will create 800 new jobs by the end of next year. By the end of 2018, the social network will have 2,300 UK employees and the new office will serve as its largest engineering hub outside of the US. The social network's new office is located at Rathbone Place, near Oxford Circus in central London and the seven floor building was designed by Frank Gehry. The building will accommodate Facebook engineers, developers as well as its UK marketing and sales teams. The launch also comes as the company marks its tenth year in the UK. Facebook's VP EMEA, Nicola Mendelsohn praised the UK's tech sector, saying that. "the UK's flourishing entrepreneurial ecosystem and international reputation for engineering excellence makes it one of the best places in the world to build a tech company. And we've built our company here - this country has been a huge part of Facebook's story over the past decade, and I look forward to continuing our work to achieve our mission of bringing the world closer together." Facebook's new London office will also house a dedicated incubator space for startups called LDN-LAB and UK startups will be invited to participate in three month programmes to help kickstart their businesses. The company's own engineering and product experts will work together with the startups as part of the initiative.